Lyme Connection makes funds available for Connecticut residents to pay for tickborne disease testing and treatment through the generosity of the Elizabeth White Fund for Lyme. This fund began with a $25,500 three-year grant given to Lyme Connection by The Community Foundation for Greater New Haven. Funds may be used for diagnostic testing and/or treatment of Lyme and other tickborne diseases from practitioners (MD, ND, DO) following the International Lyme and Associated Diseases Society (ILADS) guidelines. Refer to the ILADS website here for a provider list. Does the grant cover medication? Yes, these funds may be used to pay for medication. Does the provider (or lab) have to be located in Connecticut? No, only the patient receiving the grant must reside in Connecticut. Who is eligible to receive these funds? Connecticut residents who fall at or below 85% of the State Median Income Level, or already participate in state or federal assistance programs. How much financial assistance do the grants provide? Grant awards are determined on an individual basis. Grants are distributed on a rolling basis as applications are received and reviewed. Applications will no longer be accepted once all funds have been distributed. • Proof of State/Federal assistance (HUSKY, MSP, SNAP, Energy assistance etc). What is the Community Foundation for Greater New Haven? The Community Foundation for Greater New Haven is a philanthropic institution that was established in 1928 as the community’s permanent charitable endowment. Read more about the nonprofit HERE. 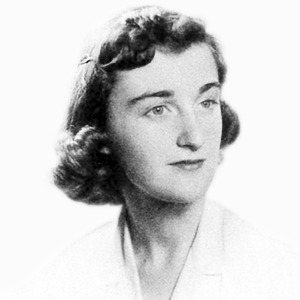 Nurse practitioner Elizabeth (Betsey) White was a beloved Connecticut health care practitioner, known throughout the Lyme disease community for her intelligence, kindness and commitment to supporting the needs of her fellow patients. Trained as a psychiatric nurse, Betsey worked at the Veterans Hospital for many years until Lyme disease made it impossible for her to continue. After being diagnosed, Betsey met with her attorney, Ingi-Mai Loorand, and Community Foundation staff about ways she could help others suffering with the illness. Important to Betsey was diagnosis and treatment that goes beyond traditional short-term antibiotic therapy. In 2014, Betsey left a bequest creating the Elizabeth White Fund for Lyme. 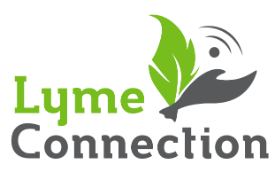 The Fund distributed its first grant for $25,500 to the Lyme Connection to support Connecticut residents dealing with Lyme and other tickborne diseases. The following organizations provide funds to help tickborne disease patients pay for medical care. Consider these options if you reside outside of Connecticut or do not meet our financial need requirements. LivLyme Foundation - Provides financial assistance to children under age 21 and their families struggling with Lyme Disease. Applications for 2019 are now closed. The application process for 2020 grants will begin January 1, 2019 and end October 31,2019. Click HERE. Lyme Test Access Program (Lyme-TAP) - Provides reimbursement assistance of initial Lyme-related lab tests to patients who demonstrate true financial need. If approved, you may be reimbursed for up to 75% of the list price that the labs publish for testing from a qualified CLIA/Medicare approved laboratory of your choice. Funds are limited and are available on a first-come, first-served basis. Children under 18 years of age are given priority. Click HERE. LymeAid 4 Kids (LA4K) - The Lyme Disease Association started LA4K fund in 2004 and has helped children all over the U.S. and in Canada. Developed with the help of author Amy Tan, the fund is for children who do not have/receive insurance coverage for Lyme disease treatment for children and have economic difficulties. Click HERE. LymeLight Foundation- Funds are available for patients age 25 or younger who can demonstrate a qualified financial need. Applicant must be an active patient of a Lyme-literate MD, ND, DO, PA-C, NP. NDs must have graduated from a CNME accredited institution. All practitioners must have prescribing rights in their state of practice. Must be a USA resident.Click HERE.